While the series only lasted three games, Cambridge and Elgin-Middlesex gave each other everything they had and more in one of the more physical series I can remember. The Hawks were able to capitalize on key Chiefs mistakes and solid play from their backend to take all three games. Cambridge was dealt an unfortunate blow midway through the series as city arena staff went on strike, forcing the Hawks home games to be played in nearby centres like Waterloo and Kitchener. There are very few, if anything that London needs to change as game one approaches. The Jr. Knights took all three regular season meetings this year and scored six goals in every game as well. While Brett Budgell led the way with five goals and eight points, secondary scorers like Bryce Lewis and Luke Drewitt and Liam Vanloon also feasted against the Hawks. One thing London will want to avoid is getting into penalty trouble. The Hawks have a tendency to draw players into a physical style of play and with the likes of David Anderson and Ryan Campbell on the Cambridge PP, limiting those opportunities will be key. Despite losing every matchup this season and losing them quite convincingly, Cambridge was able to keep close with London in all three meetings, including taking a 2-0 lead in the season opener back in September. Defense and goaltending will always be tested against London and both have been decent. The Hawks defense will want to avoid getting caught flat footed against the speed of London. Despite giving up six goals last time out, Jet Greaves played outstanding and his incredible play continued against Elgin in the first round. Cambridge will need big offensive contributions from Anderson and Campbell. Also, the line of McDonald, Yetman and Hegan was very effective against the Chiefs and continued success will give Cambridge a deeper attack offensively. London seems to be unstoppable at this point in time but we all know that any team can be beat on any night. The Jr. Knights went up against the best goalie in the Alliance in the first round and they will see, in my opinion, the 2nd best goalie in the league this time around. Greaves can steal the Hawks a game, but I don’t see him stealing them a series against a loaded London team. I expect London’s stars to shine as they march closer to another Alliance championship appearance. 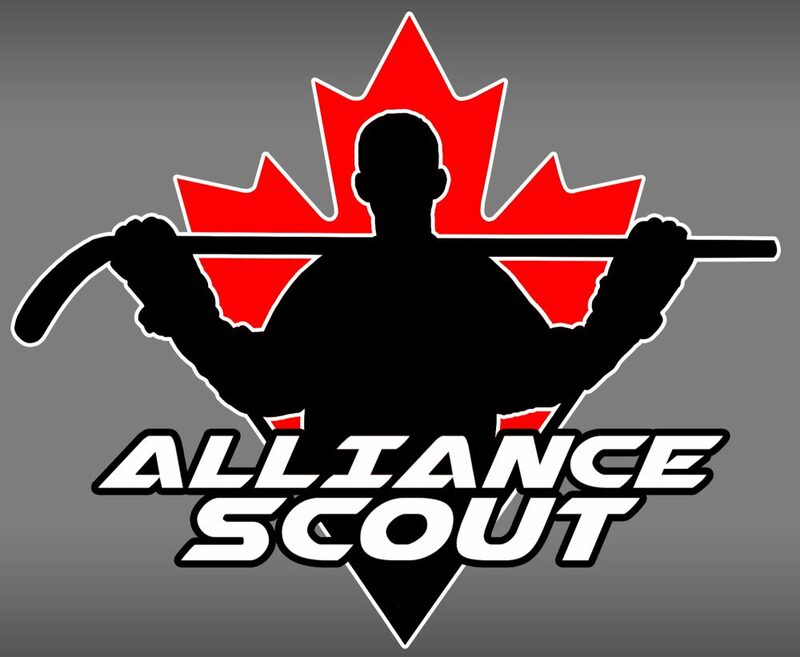 This entry was posted in Alliance Hockey, alliance playdowns, Alliance Scout, Cambridge Hawks, London Jr. Knights, ohl cup, ohl draft and tagged aidan preuter, Alliance Hockey, alliance playdowns, alliance playoffs, brett budgell, bryce lewis, cambridge hawks, david anderson, elgin-middlesex, jeffrey burridge, jet greaves, john mcdonald, kyle yetman, liam vanloon, london jr. knights, luke drewitt, ohl cup, ryan campbell, ryan suzuki, sun county panthers, tyler kress by Dave Coulson. Bookmark the permalink.